Hey yogis, as many of you know I am recovering from a partial ACL tear and bone bruise on my right knee! This is the 25 minute yoga sequence I've been doing almost daily to help rehabilitate and strengthen my knees. 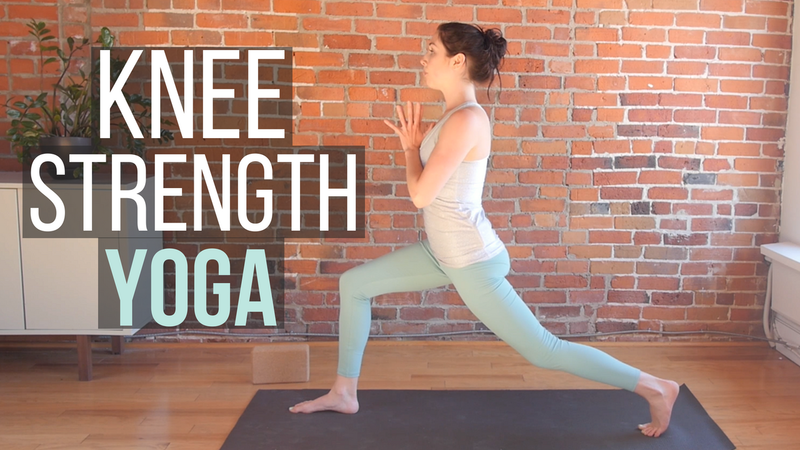 Yoga for knee strength is a simple but powerful sequence to build up lower body strength. We will focus mainly on glutes, quads, adductors and hamstrings. All of these muscles are necessary to maintain integrity in the knee. Please note that if your injury is accute and still inflamed these poses may not be possible for you to do! Always consult with your doctor and work out a plan that works for you. This is just what I've been doing and it's worked very well for me so far.